The Abra2BST Command Center is all you need to transfer your data to and from Abra. It's easy-to-use interface allows you to move your human resources data to BST. 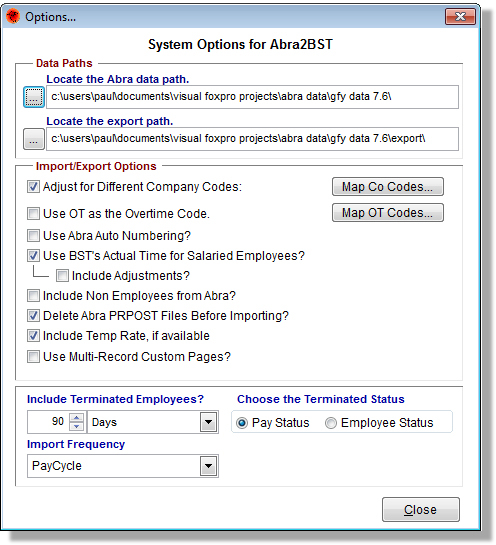 When it's time for payroll, the Abra2BST Command Center easily imports the BST time entries into Abra's payroll system. Due to Abra's flexibility and ability to customize certain aspects of software, further customization may be required. 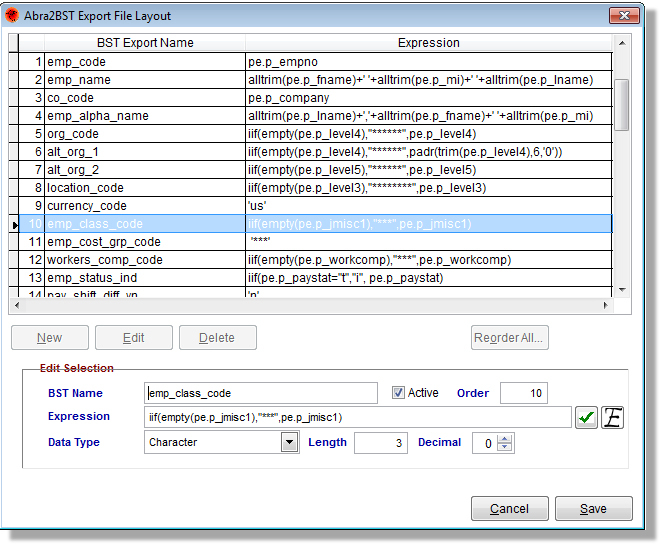 The Abra2BST Export File Layout utility allows you to manipulate the data in exactly the format required. 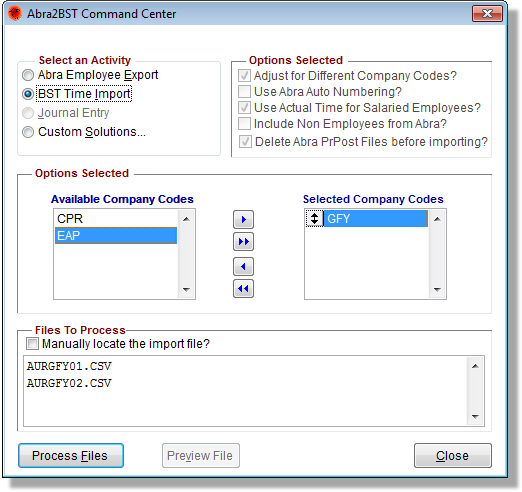 Abra2BST has a multitude of configuration options that allows many import and export capabilities. Abra and Abra Suite is a trademark of Sage Software. BST Enterprise is a trademark of BST Global. Abra2BST is a trademark of CAASPRE Consulting. Copyright © 2019 CAASPRE Consulting, LLC. All rights reserved.